The World Bank has approved $125 m as additional support for Morocco’s adoption of innovative solar technology, as part of the national goal of developing the country’s world class solar and wind energy resources. The additional financing, which includes US $25 m from the Clean Technology Fund, will support the development and construction of the Noor-Midelt I and II plants, which will have a total capacity of 600-800MW. “This is yet another step toward a promising clean energy future for Morocco,” said Marie Francoise Marie-Nelly, World Bank country director for the Maghreb. “The Noor-Midelt power complex seals Morocco’s position as the region’s pioneer in renewable energy,” Marie-Nelly added. The Noor-Midelt complex will be Morocco’s second concentrated solar power (CSP) complex built under the Noor Solar Plan which is a critical component of the country’s goal of producing 52% of its electricity through renewable energy by 2030. The 580MW complex is due for completion this year and will be the world’s largest CSP complex. Along with providing power to over one million people, the Noor-Ouarzazate complex will decrease Morocco’s dependence on oil by about 2.5 million tonnes per year and reduce carbon emissions by 760,000 tonnes per year. The Noor-Midelt complex will be based on a new design that combines CSP and PV technologies which can generate power even when the sun is not shining. “The design of Noor-Midelt relies on proven technologies that will be operated in a pioneering way to take advantage of the benefits of both CSP and PV technologies on a single site,” said Moez Cherif, World Bank lead energy economist for the Maghreb. 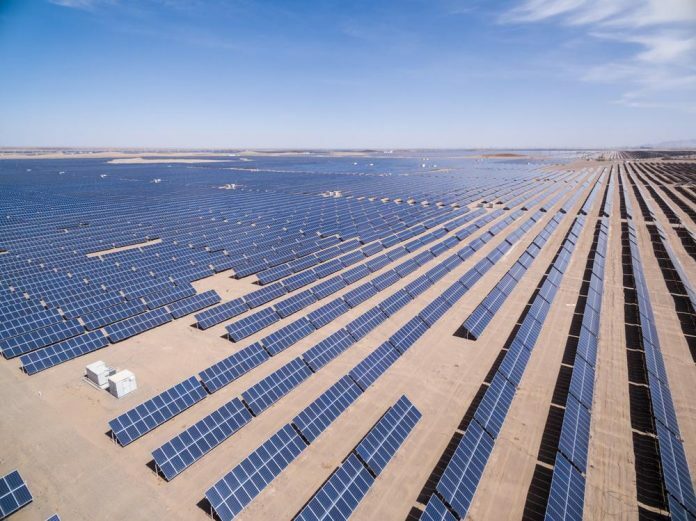 The design and construction of the new solar complex will be led by the Moroccan Agency for Sustainable Energy (MASEN), which was founded to implement the solar plan and now leads the country’s transition to renewable energy.